Parsley is a fresh herb that is packed with beneficial nutrients, essential oils and antioxidants that helps the body functioning more smoothly. It has a range of protective flavonoid antioxidant that helps the immune system to fight against diseases. Commonly known those antioxidants helps to cure inflammation, reduces oxidative stress and fights free radicals, which cause cellular damages along the way and makes aging faster. The uniqueness of parsley lays in its essential oils components such as myristicin, limonene, eugenol and alpha-thujene that proved to boost immune system and fight cancer formation, in particularly slowing tumor growth. It often called as “chemoprotective” plant because it helps protect DNA from damage, stops cell mutation and helps induce apotosis, or the death of harmful cells. Research shows another great benefits of parsley that helps relieve water retention and ease bloating, therefore it improves digestion besides detoxifies and may help fight off kidney stones. Protects eyes by providing Vitamin A, which protects the retina and cornea from damage as someone ages. 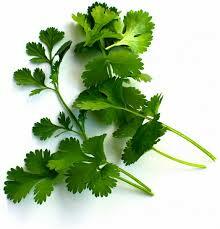 Last, but not least it provides folate that is essential for heart health.